The Home, a luxury pied-à-terre or home away from home, is surrounded by beautiful majestic moss-covered Live Oaks and is within easy walking distance to Forsyth park, River Street, downtown shopping & restaurants. Located in the heart of the Savannah historic district just to the east of Colonial Cemetery, Savannah Pied-à-terre is the perfect origination point for all your Savannah excursions whether you are traveling for business or pleasure. 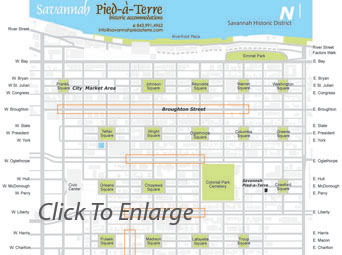 The historic district in Savannah is bordered by River Street (to the North) and Forsyth Park (to the South). The home is ideally located halfway between each (both are about a 10 minute walk in either direction) in a primarily residential area of the historic district (beware of other listings that claim to be within the historic district, if the home is not located north of Gaston Street it is not within the historic district!). Crawford Square one of the city's remaining 21 original squares, is steps away and a relaxing place to read a book or enjoy your morning with a cup of coffee or tea. For our guests staying 3 or more nights we welcome you with a complementary bottle of wine, assorted cheeses and crackers upon your arrival. 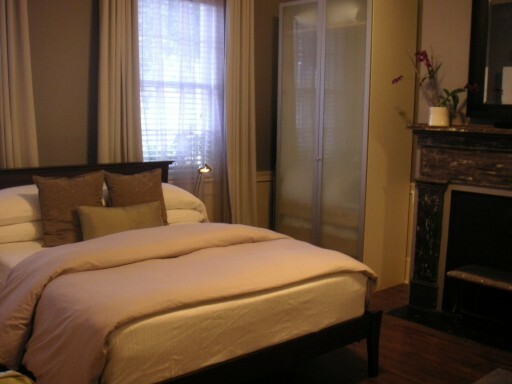 This Historic Home offers two Suites available and each has it's own private entrance. Suite I is located on the first floor (but above ground level for privacy), sleeps up to four and is pet friendly. Suite II is located on the second floor and sleeps up to 2. 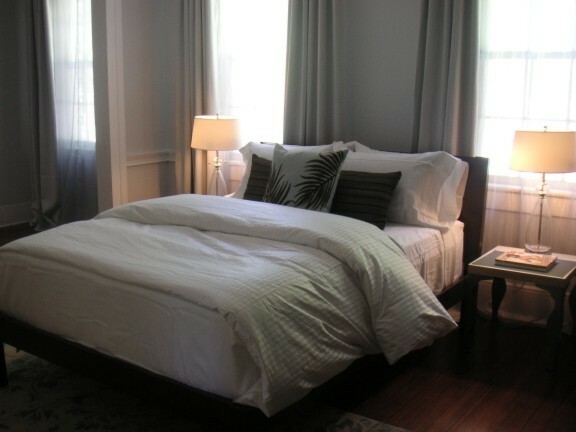 Each Suite features comfortable furnishings and modern upgrades (granite countertops, glass tile, oversized tubs, stainless steel appliances), while maintaining the historic charm (original heart pine flooring, crown molding, soaring ceilings, tall large windows) you expect when staying in Savannah. Maps, guidebooks and local Savannah periodicals will keep you abreast of all that Savannah and the low country have to offer during your stay. Also on hand is an assortment of books and DVD's allowing for comfortable relaxation after your Savannah excursions. Rates depend upon day of the week and season. Please select either Suite I or Suite II for specific rate and amenity information. Please no smoking in the home. Please no pets allowed in the home. The home is locally owned and operated. When you email or call you are speaking directly with Heather, the owner, not a management company. We meet and check in all of our guests, offering each of you personalized service. 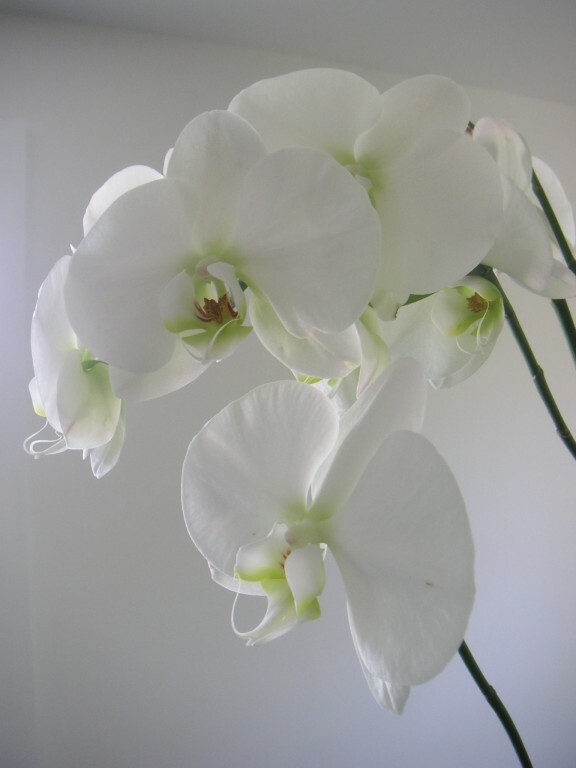 You are our guest during your stay in our beautiful city and we endeavor to make your stay as comfortable as we can. This home is fully licensed by the City of Savannah (SVR-0001). A well appointed vacation home in the heart of the historic district of Savannah Georgia.